I have bought so much RFL stuff that I’m just doing a round up post of what I’ve photographed. Here we have Bossa Nova’s entry- Primavera in rain. I’m wearing it with a dollarbie hair that Truth put out and a pair of earrings from artilleri. 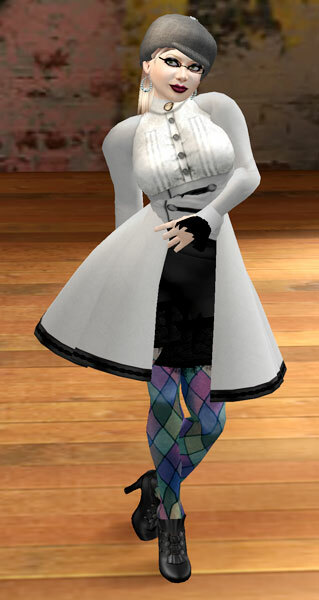 Draconic Kiss has put the Ella outfit out in several colors, including 2 for RFL: pink and this grey. I absolutely adore the detailing on Lucille by Irelyn, again available for RFL in black and pink. My hair is from Gurl6 for the Fashion for Fido event. I have more but this post is too long already. The two Fiends from Hell otherwise known as the Book Sisters have roped me into posting again. So Whaddah you looking at? Tanya really loved the Tatts which are based on Davinci’s work. Available from Truth. The Jewelry Expo is open and my not so inner jewelryholic is very happy. I finally picked up these nouveau filigree hoops from junk and the surprise cameo from boing fromage. The cameo comes in gold or silver, one strand or two. My hair is one of ETD’s new releases, the guys- Jared. And my outfit is from Devilish Cupcake. The single piece of jewelry we’ve all been waiting for, Muse’s Chatelaine Shoulder Brooch and Chain. It is as exquisite as the rest of her work. The feather changes from black to white. There’s a treasure hunt going on and one of the prizes is the necklace and earring set above from Miriel. If you look closer, you can see the full moon in the center with cresents surrounding it and new moons on the ends. The Lu sisters of Paper Couture have put out an exclusive set of jewelry including a pearl choker and earing set and several cocktail rings, three of which are pictured here. Once the Expo’s over, the sign says, these will never be sold again. “After a prolonged and semi-involuntary absence, we’re finally back:). Now on a new, bigger build, at a lovely beach plot in Amour, the bossa nova store is full of goodies! Besides the new releases, there’s a couple of freebies that will be given only on the first week of opening, and won’t be avaliable anymore – ever. Also, a lucky chair with two exclusive versions of the Bem Querer and Saudade dresses, two of my favorite past releases. So, don’t forget to stop by for a moment:) See you there!” Opening at Midnight Sunday. Also Tuli has posted her own notes with different stuff. Unpop has amused the nurse. These are “girly” shirts. And when they say girly, nothing is more definitive of a girl than the uterus. 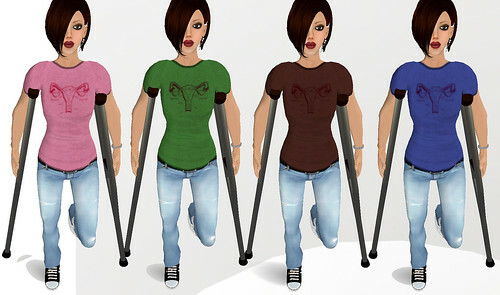 I usually think of Unpop more for animations than clothing, but they really amused me with this one. The crutches & cast are something I found at the Lollipop Shop. Matches my RL self now. Yard Sale – buy my closet a new old product weekly. 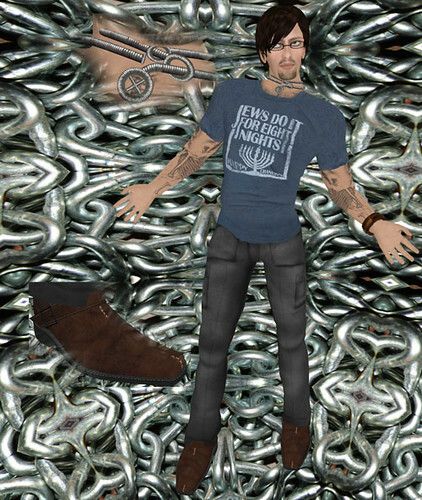 You are currently browsing the Antonia Marat – /artilleri/ category at SL Fashion Notes.